The LaCimbali M27 is an elegant and versatile machine, that’s easy to use, adjust and maintain. Ergonomic and sturdy, the LaCimbali M27 is made of steel and aluminium and is equipped with a reliable fixed-nozzle thermosiphon system able to guarantee consistency in cup. 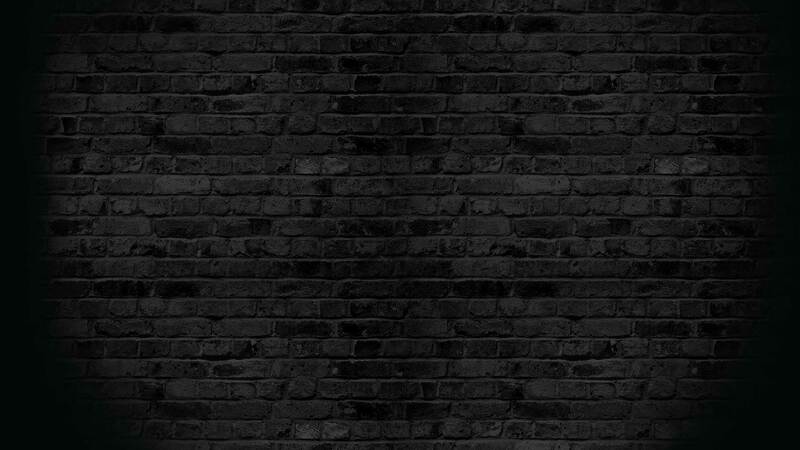 A machine built of quality, without the large price tag. 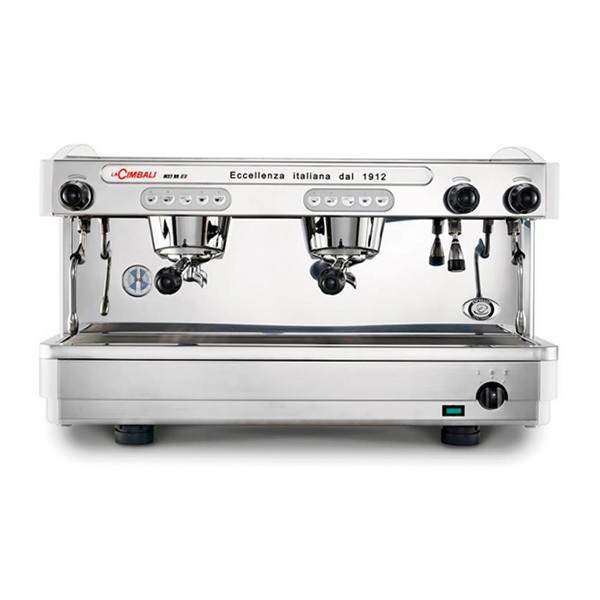 The LaCimbali M27 DT features selection panels with prompt and precise push buttons, whilst the LaCimbali M27 C is a reliable and high performing semi-automatic espresso machine (available upon request). The wide logo strip on the front of the LaCimbali M27 is ideal for adding your own personalisation. With a new industrial look, and a gutsy temperament: the LaCimbali M34 guarantees reliability and a response to all your production needs. Advanced electronics for a perfect espresso, hi-tech solutions for saving energy and painstaking attention to the design. The LaCimbali M34 is the ideal tool for overcoming the hardest challenge satisfying your customers. 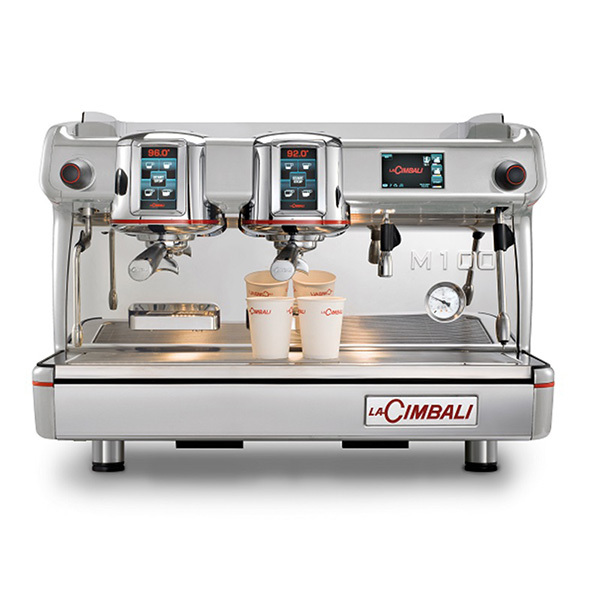 Elegance, reliability, energy saving and high performance: the LaCimbali M100 is designed around the finest tradition of Italian espresso coffee. 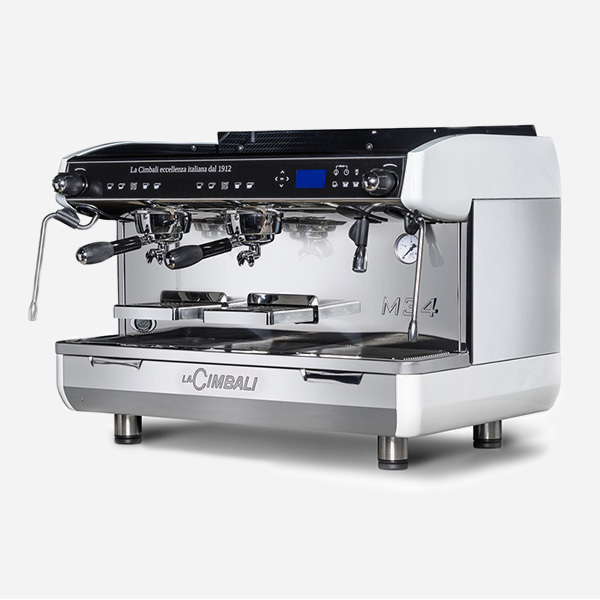 Specifically design to accommodate tall cups or glasses, the LaCimbali M100 is equipped with a thermal system with two heat exchangers in series and independent coffee boilers. Each group temperature can be set independently and controlled directly by the display. With state of the art software, this green machine is the latest generation eco-technological solutions thought to conjugate energy saving and environmental respect.